Nicely finished cabin. Great to drive yet comfortable. Wide engine selection. Getting the correct specification can get expensive. Fabric roof less secure than a folding hard top. 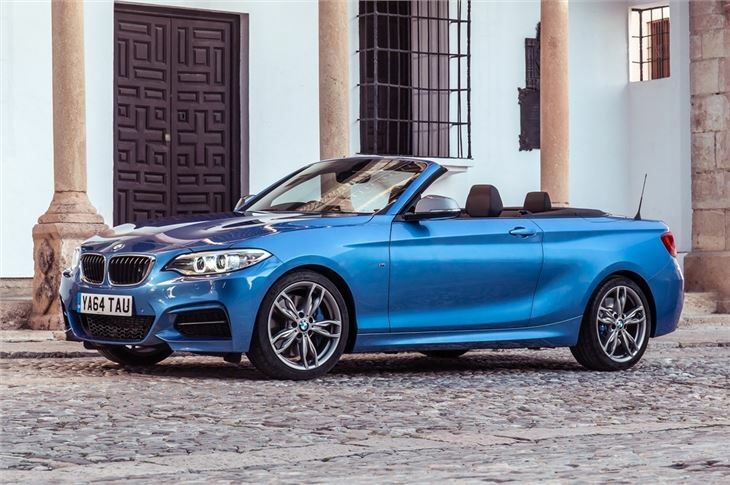 It’s difficult to deny the visual appeal of the sleek and stylish BMW 2 Series Convertible, but it has a lot more going for it than just exterior style. Indeed, factor in a nicely finished cabin, fun driving dynamics, a comfortable ride and a great selection of engines and you've got a classy, small soft-top that's hard to beat – though prices are high and practicality could be better. The showpiece is a fabric roof that folds neatly into the boot in around 20 seconds at speeds up to 30mph. The rear two seats are small – adults will struggle for knee room and, if the roof is up, head room is restrictive too. But for most, none of this will matter. 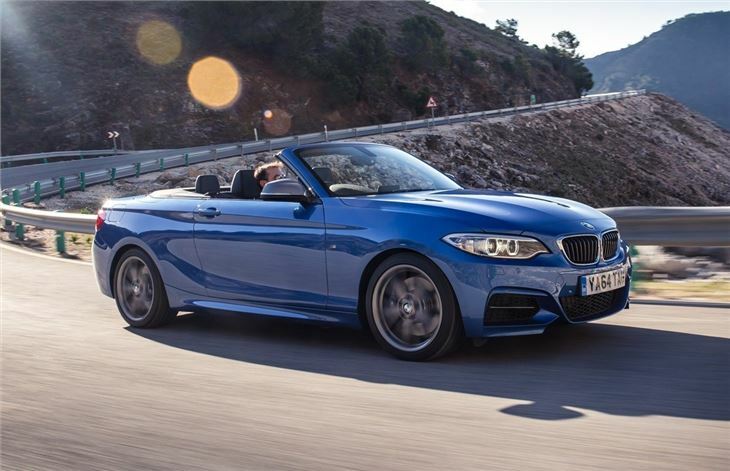 The 2 Series Convertible is more about style and enjoyment for two. And it delivers the goods, with a classy, high quality finish and thoroughly enjoyable, yet still very comfortable driving experience. There is a lot of fun to be had through the corners, thanks to quick, precise steering which gives good feedback to the driver. 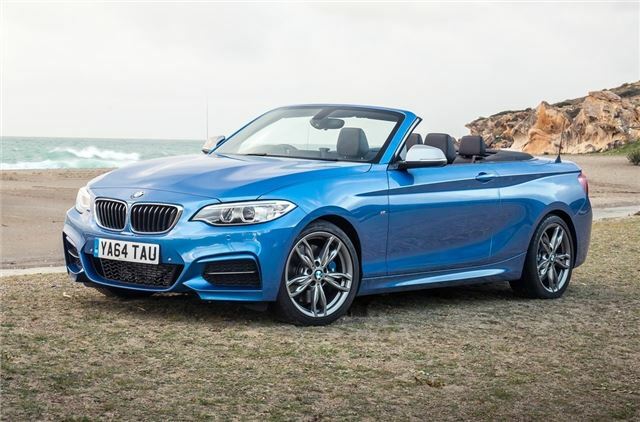 Buyers can choose from no less than seven models – 218i, 218d, 220i, 220d, 225d, 228i and the high-performance M235i. Even the basic 218i is surprisingly capable, but the 220d is probably the best bet, thanks to its impressive official economy of almost 70mpg. 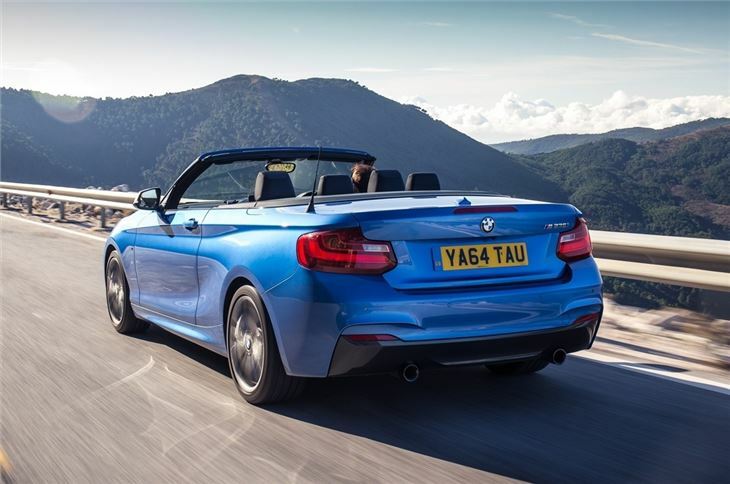 It’s a torquey, capable engine and it’s quiet on the move, though it doesn’t sound great at low speeds with the roof down. 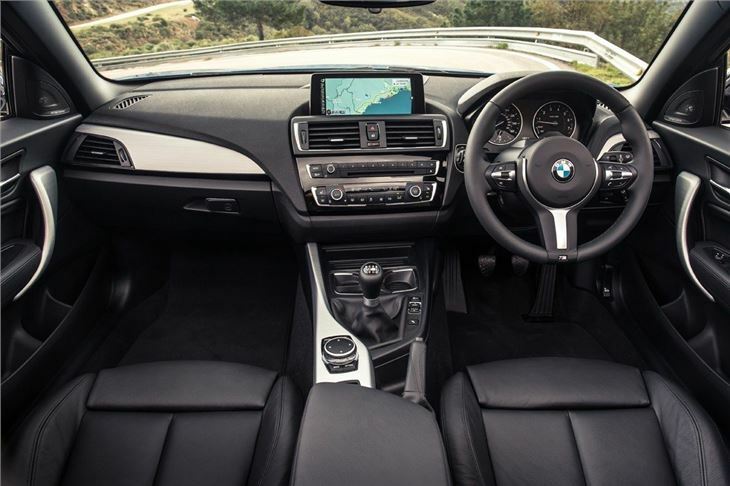 Standard equipment includes alloy wheels, air conditioning and iDrive controlled infotainment. Most of the additional equipment on higher trim levels is cosmetic, but M Sport models get a lower, sportier suspension set up. You can delete this at no cost to get the M Sport styling with a more comfortable ride. The fabric roof will put some buyers off, since it provides less security and poorer refinement than a metal roof. 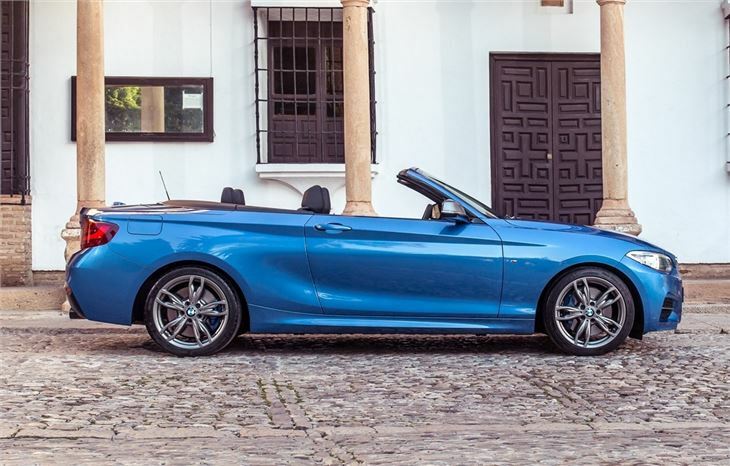 However, if you can get past that problem, as well as the fairly high price and the practical limitations, there is a lot to like about the BMW 2 Series convertible. 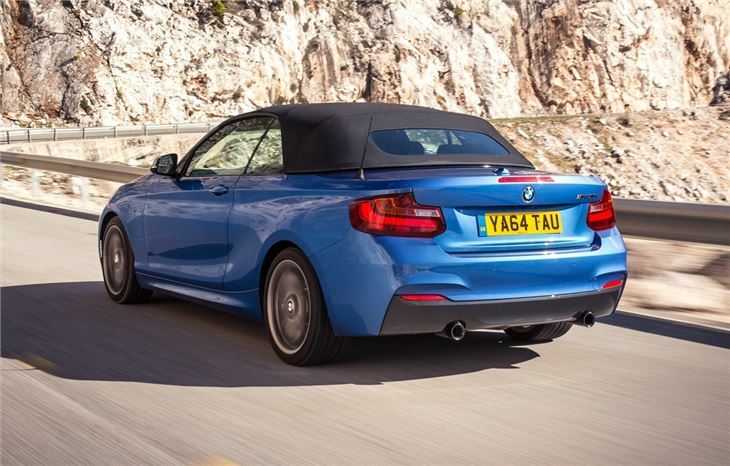 If you want a neat and classy soft-top, it’s easy to recommend.